Don’t be confused, scared, or in the dark about number plate terminology ever again. We’ve put together a handy little dictionary of number plate terms so that you know exactly what we’re talking about at all times! 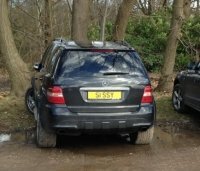 Assign - When you move a number plate from a certificate to a vehicle this is referred to as ‘assigning’. Auction - Similar to a traditional auction, but these are held by the DVLA specifically to sell registration plates several times a year. 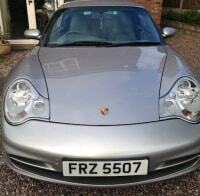 At Primo Registrations we regularly attend these auctions and bid for our customers or buy in new stock. Cherished - Another term for dateless plates – derived from owners of dateless registrations classing the plates as cherished/ family keepsakes. Cherished Transfer Scheme – a scheme that allows cherished number plates to be transferred between vehicles. 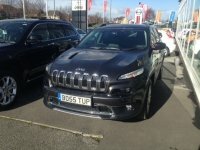 Current Style (New-Style) Registrations – the current system being used to issue number plates in the UK. First put in place in 2001 with plates from March following a “01”, “02”, “03” pattern while from September they become “51” “52”, “53”. Dateless Registrations – number plates that have no age signifying letters or numbers on. Documentation – referring to the documents which are needed to complete a number plate transfer, often include MOT certificate, tax and V5 documentation. Driver and Vehicle Licensing Agency (DVLA) ­– government body in charge of vehicles, registration marks and drivers. DVLA Local Offices – the smaller, local offices of the overall government DVLA body. These all closed by December 2013. Driver and Vehicle Licensing Centre (DVLC) – used to be the name of the DVLA before it changed in 1990 and became responsible for raising money for The Treasury. Font – the style of lettering that is used. There is only one font legally allowed on UK number plates, others carry legal penalties for their use on public roads. Inspection – the DVLA may need to validate that a vehicle is using a legal registration by carrying out an inspection, this typically compares the car chassis number to its log book. These checks are not often carried out, but can slow down the process by a week or more if the vehicle is found to be stolen. Log Book – the document that contains all the information about that vehicle. Ministry of Transport (MOT) – this is a roadworthiness certificate that is annually issued following a test that decides if the vehicle is roadworthy. Number Plate – the term used to describe the both the registration number and the plates on which the number is printed. 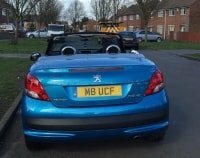 Personalised – when a number plates letters/ numbers are chosen by the individual rather than being generically issued by the DVLA. Prefix – previous style number plates that used a letter signifier at the beginning of the registration sequence. Registration – referring to the number used on a number plate. The registration corresponds to the VIN and will be printed on the vehicle’s registration document. Retain – keeping the registration number on a certificate rather than being assigned to a vehicle. Scrapped – if you scrap a vehicle you will need to declare it scrapped with the DVLA. You cannot transfer a registration from a vehicle that has been scrapped. Show Plate – acrylic number plates that can contain any spacing, font or lettering and numbering to be used for off-road purposes. 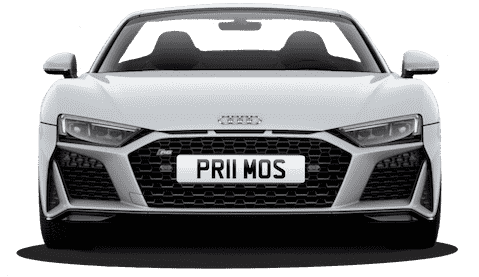 These plates are not road legal and are not supplied by Primo Registrations. Suffix – a previous standard of plate which has 3 letters, followed by 3 digits and an age signifying letter. Transfer – moving registration plates from one vehicle to another. There is a fee of £80 that is attached to any transfer. Still confused by anything you’ve seen on our website? Give us a call today on 01252 49 1111 and our friendly sales advisors will help to take you through the entire process, helping you to understand everything you need to know.